Living Vehicle’s Matthew and Joanna Hofmann. In their eyes, Matthew and Joanna Hofmann are not merely making and living in a new breed of recreational vehicle. It's a new breed of American life. 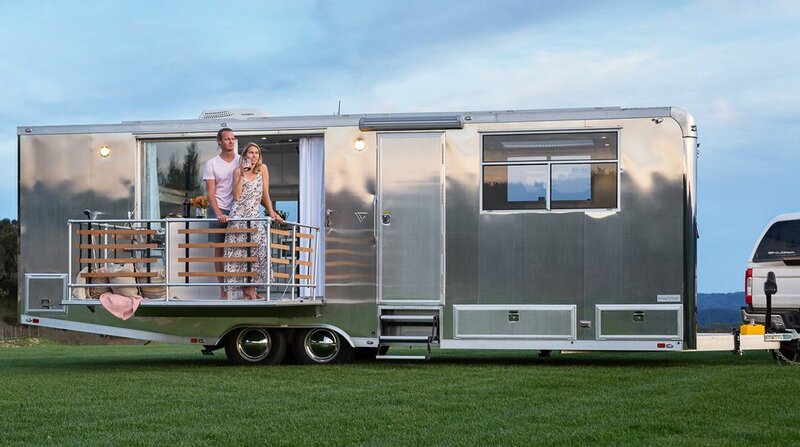 "We're kind of in a rebirth of the American dream," predicts Matthew, an architect who previously designed the remodeling of hundreds of Airstream RVs. "The old American dream, with the house and the picket fence…that costs quite a bit to live." 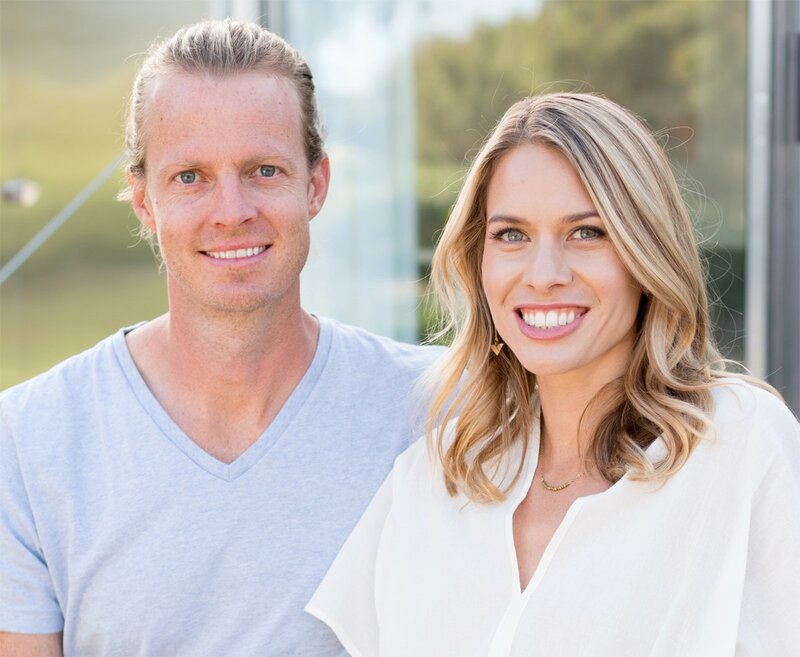 Enter Living Vehicle, the Hofmanns' latest business venture and 'intentional lifestyle' home. Matthew had fallen in love with RV life eight years back, but Joanna admits, "I wasn't sure about it. To be honest, a lot of it I really didn't like." She cites inadequate headroom, insulation, and storage space as three aspects in particular that made her unsure about Matthew's old RV and even the couple's boat in Santa Barbara harbor, where they live when not on the road. There were other things too, "just the comforts of home, like a salon shower with a skylight." 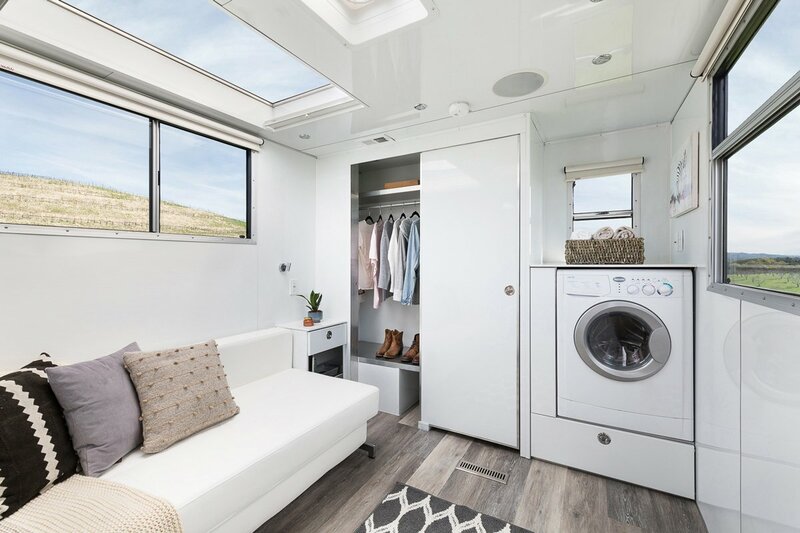 During our recent phone interview, the couple were en route from Bryce Canyon to Las Vegas, towing a gleaming, 212-square-foot mobile home of their own design. 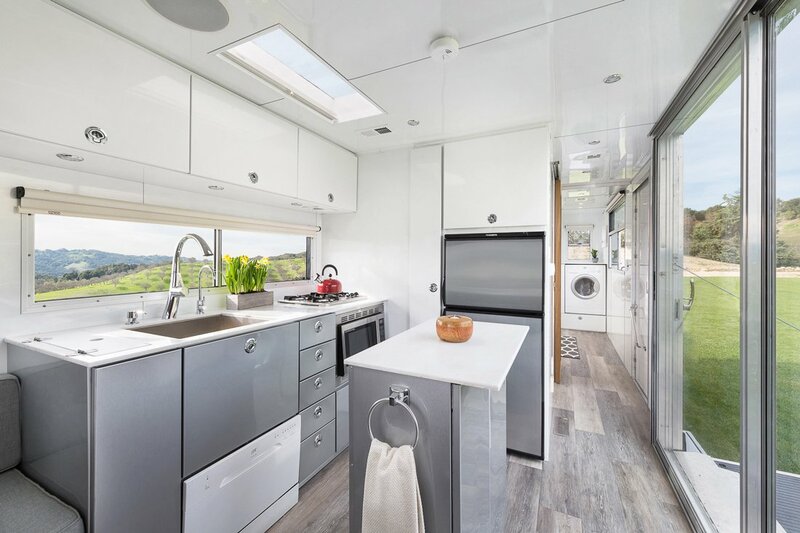 Combining Matthew's experience with Airstreams and other "small spaces" and Joanna's domestic sense, they came up with a streamlined, new lifestyle choice for a customer base that has bought 17 so far. Matthew said the design is influenced by Airstreams as well as by naval architecture. "We basically looked at the design and said, 'What do we value?'" explained the Cal Poly San Luis Obispo grad. "How can we create a product that will wear gracefully and last for generations?" Using Joanna's RV peeves as a guide, they proceeded to design a home on wheels that is an inch short of 31 feet from hitch to bumper, and 10 feet, 5 inches tall, although optional A/C adds another six inches of height. The interior headroom is 6-foot-8, there's ample closet and pantry space, and in Matthew's words it is "four-season capable." "That's a big one," he said of climate adaptability. With insulation R-values of 7, 19, and 25 respectively in the walls, floor, and ceiling, he said, "The Living Vehicle is bar none one of the best insulated products out there."